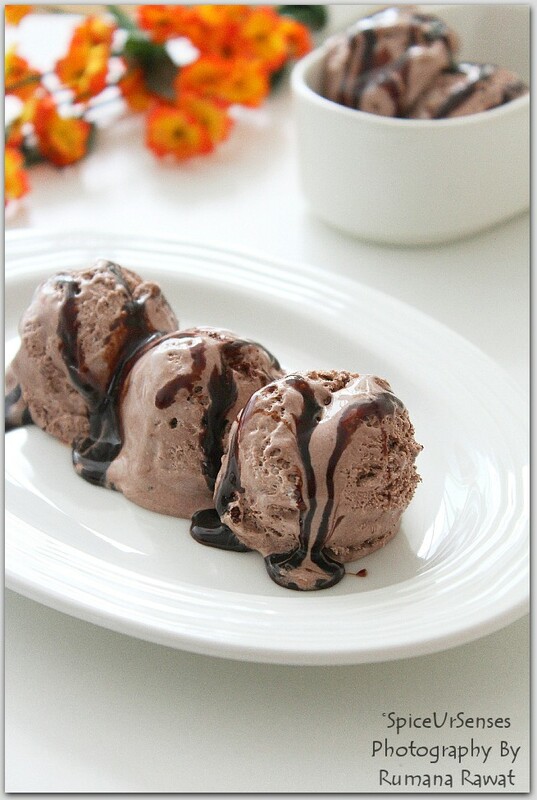 Chocolate Ice Cream/Homemade. 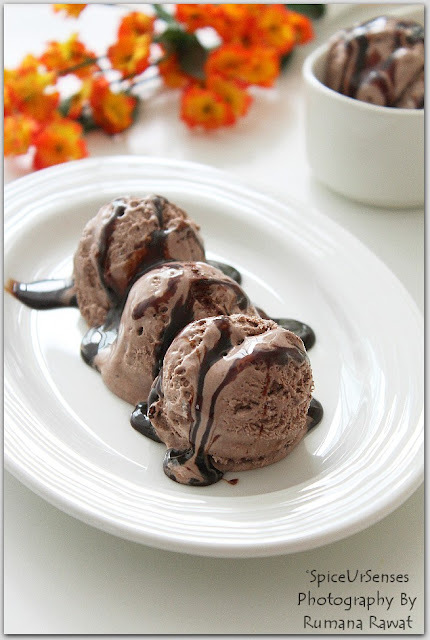 Who knows making Ice Cream was so easy at home unless I started making, that too with out ice cream maker and all you need is only 3 main ingredients. You can flavour as you like, there is no end for the flavouring. Once you get a hang of making ice cream at home then you'll also stop buying from out. Its so easy and saves lot of time to go to grocery store and buy it. In a large mixing bowl. 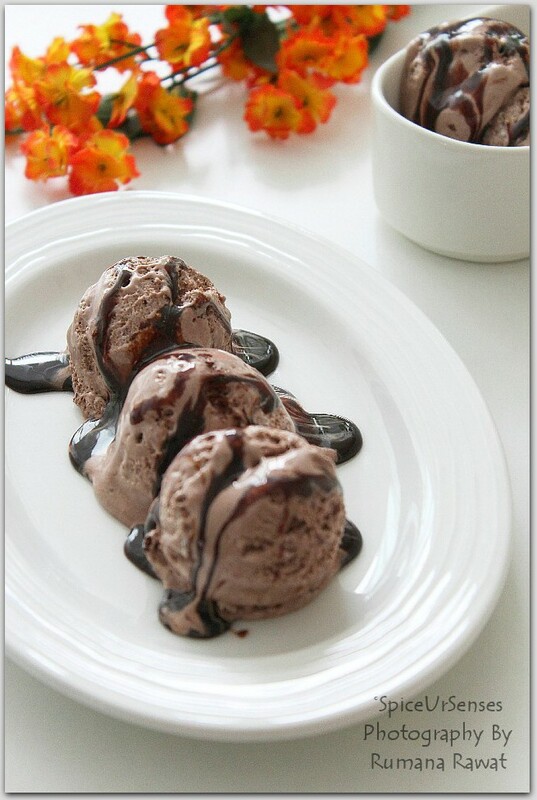 Add the cream and condensed milk and whipped till it becomes thick and creamy. Add the coco powder and give a quick mix. Transfer it to any airtight container and freeze it for about 6 to 8 hours. 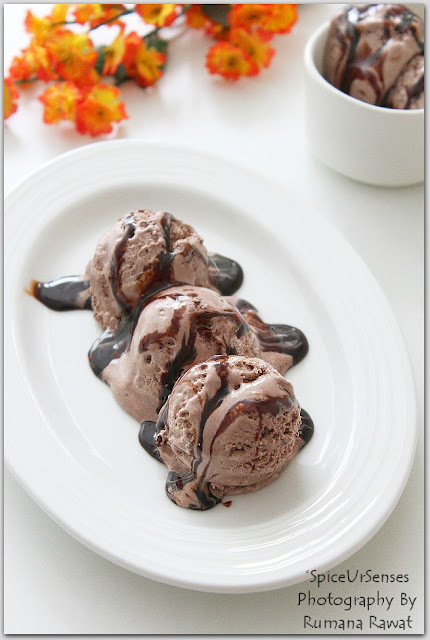 Serve chill with chocolate sauce. You have presented it so beautifully! Just a few ingredients and the result is fantastic, well done! Yummy and what a beautiful presentation! I can assure you. You'll love once you make it..